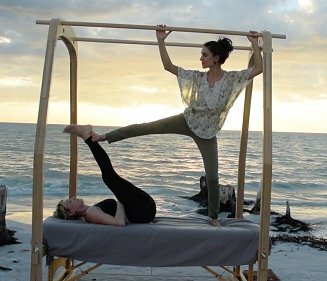 Welcome to the Ashiatsu Portable Bar Lounge! 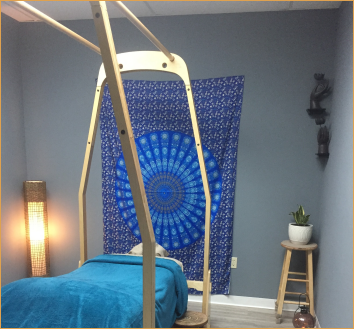 Market your business and take Ashiatsu anywhere!! Through the natural progression of hands on clinical use and technology, our file patent has evolved into a more sophisticated apparatus than prior utility designs. In short the prototype just keeps getting stronger and better with each new year of production and we love sharing the news with everyone. We are proud that our fascinating design is ergonomically sound and sustainable. It is surprisingly more rigid than ever before. 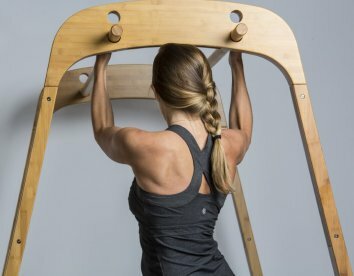 Made from 100% sustainable bamboo which provides just the right attributes for Ashiatsu. It’s hard to believe that the handrails you touch as “round bars” start out in flat sheets of bamboo wood then milled, molded and shaped into a round perfection diameter fit. There are multitudes of counter sunk parts and layers of complex geometry that are milled into each piece. Over 40 parts are cut, molded, shaped and glued into the geometrics that go into just (1) set of these amazing portable bars. Assembled Dimensions 91" tall, 83" Length, 47" Width. Landlord won’t allow you to put bars up? 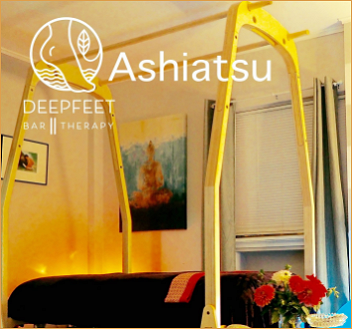 “No problem” Deepfeet has you covered, so your clients can experience your fancy footwork! 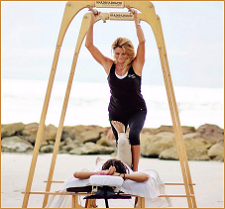 ASHIATSU on location, anytime, anywhere! At Deepfeet, we believe in superb Customer Service and appreciate the virtues of actually talking on the phone. If there is anything we can do to educate you further on our remarkable product, please let us know by filling out the form below. You can also reach out to us at 503-715-7929. We’re here to help you! 6. 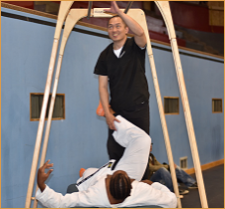 Where did you take live hands on Ashiatsu training? 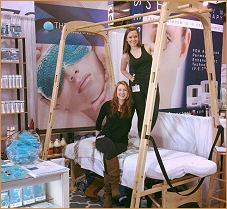 Deepfeet Portable Bars are intended for Non- instructional use only. 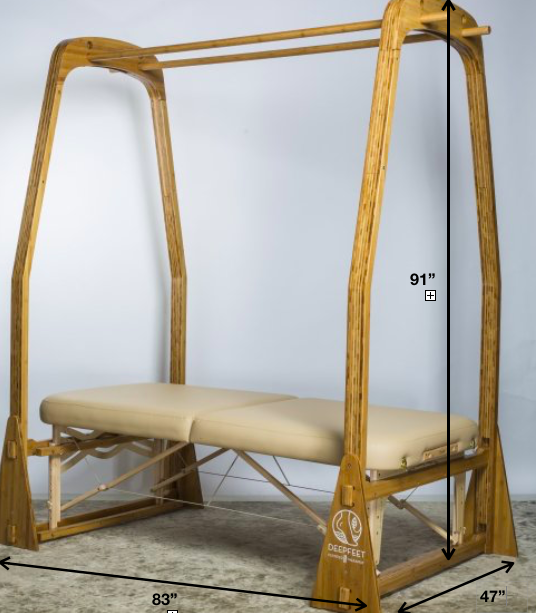 Instructors of other barefoot educational programs and organizations may not use the Deepfeet Portable Bar Apparatus to teach or train any barefoot massage technique without written permission from the Deepfeet Brand Organization. Portable Bar purchasers must read, acknowledge and sign the Deepfeet Liability Waiver & Purchase agreement prior to purchase. Assembled Dimensions 91" tall, 83" Length, 47" Width.